Men are just as entitled to look good and take care of themselves as women. Why get weathered and age quickly when there are easy, quick and safe treatments on offer in the modern word? Why suffer with excess body hair unnecessarily? We welcome our gentlemen clients and are more than happy to share our skin and lifestyle tips with you to keep you in the now and up to date with trends, products and less blemished, smoother looking skin. 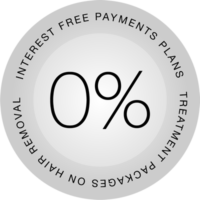 Our treatments will help you look and feel fantastic in your own skin with minimal effort. And our team of experts are happy to advise on treatment plans made specially to suit your tastes and lifestyle requirements boosting your confidence in your appearance whatever your concern. What’s more, our laser is the fastest with a XXL laser head so we won’t keep you for too long. We’ve picked out our most popular gents treatments below.